The Department of English studies language, literature, and media. Our activities in teaching, scholarship, and service, within and beyond the university, focus on literature, writing and rhetoric, criticism and theory, linguistics, media, and creative writing. The research and teaching of the department connect these varied ways of understanding language, text, and discourse in a manner that enriches them all. As scholar-teachers, the English faculty are committed to balancing teaching, mentoring, and research as mutually beneficial endeavors. Through research and teaching, our faculty work to expand knowledge of language, literature, and various expressive media in local, national, and global contexts. 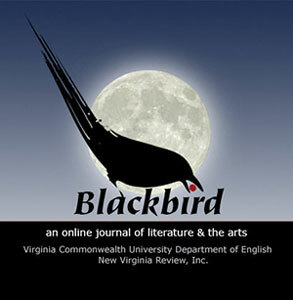 The Department of English at Virginia Commonwealth University offers a program leading to the Bachelor of Arts in the College of Humanities and Sciences. In addition, the Department offers minors in English, Writing, Creative Writing, British Studies, and American Studies. The Bachelor of Arts curriculum in English is designed to help students acquire an understanding of their literary heritage and its relationship to contemporary life, develop an appreciation and practical knowledge of the modes of literary expressions, and prepare for advanced work in English language and literature. The Department of English at Virginia Commonwealth University offers a thirty-hour Masters degree in English with an additional concentration in research for those who desire to conduct a thesis project. The flexible degree program enables students to develop intellectually in a stimulating and supportive environment. Designed for students seeking study beyond a bachelor’s degree, the program prepares graduates subsequently to pursue a doctorate, teach in secondary or higher education, or obtain other positions in the public and private sector. VCU’s interdisciplinary doctoral program in Media, Art, & Text is a joint endeavor of the Department of English, the School of the Arts and the Robertson School of Media and Culture. The program prepares students primarily to teach at the college or university level, although some pursue careers in related media fields. MATX emphasizes the historical and theoretical foundations essential to the scholarly study of media, both old and new, broadly defined. It provides an intellectually stimulating environment that encourages students to work both collaboratively and independently, as well as across and between disciplines and media. Students maintain a base in their primary area of research, which is usually but not always the field in which they have done prior graduate work.